We take pride in our reputation and stand behind our products and services. Daniel Lambert is semi-retired and lives in Seaforth. Sun-Norths' day to day business is now managed by Philip Ashwin. Dan is still active with a special interest in WindTrans. Dan wants to emphasize that the success of these companies has been achieved only through the dedication of his employees. Philip grew up on a family dairy/sheep farm in Southwest England. He completed higher education at Lackham Agricultural College. Philip worked in many areas of agriculture in England before immigrating to Canada in 1999, shortly after this he started with Sun-North. 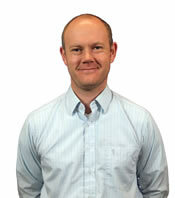 He has been involved with all aspects of the business from production and installation, R & D and design and application. Philip progressed to Vice President in 2009. As V.P. Philip oversees all general business for Sun-North and focuses on the future progression and growth of the company, looking at new and improved products and designs to ensure we stay at the leading edge of the field, this will help us service our existing customers and expand our markets across the globe. Rob came to work at Sun-North in October of 2014. He is currently in the position of controller and is responsible for all of the internal and external reporting for Sun-North as well as all financial and tax matters. Rob formerly held the position of controller at a local produce company as well as a grain merchandising company. He has also held the role as a financial analyst for a copper tube manufacturer. Rob is a graduate of Laurentian University Honours Bachelor of Commerce program and is a Chartered Professional Accountant (CPA,CGA). John is a graduate of the University of Guelph in Agriculture. His work experience has included various farms in Ontario and Alberta Canada, and also agricultural equipment parts sales. 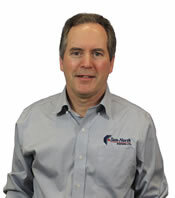 John has been employed with Sun-North Systems since 1994. He started with the company in manufacturing and purchasing, and then moved into sales and service. Seminar presentations and sales explorations have taken him to many different countries, from Northern Finland to the Middle East and from China to Western USA and over 35 countries in between. Different climates around the world invite a different set of requirements for livestock; John has had experience in both extremes of heat and cold. John lives in Seaforth, Ontario with his wife Dianne and daughter Claire. Hobbies include camping and curling, skiing and everything outside. Travel is a very important part of John’s life and he is always eager to see new places and meet people. Jeremy was raised on a dairy farm in Wainfleet, ON. After high school he worked for a dairy equipment supplier as well as a poultry equipment supplier before returning home to work on the family farm managing the crops and equipment maintenance, while taking the Dairy Apprenticeship course at Kemptville College. After 13 years there he left to start his own business selling and distributing agricultural product across Canada. Jeremy’s passion for the ag industry reflects in all he does. Jeremy and his wife Sharlene have 4 children. He is active in his church; as well as a volunteer firefighter in his community. 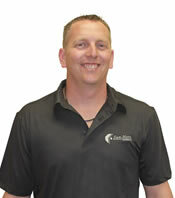 He looks forward to serving the existing and new clients at Sun-North and building the business into the future. 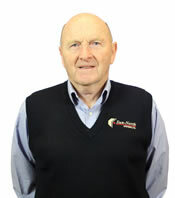 Dave has been in the agricultural ventilation business since 1976. 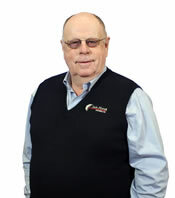 He has been involved in virtually all aspects of the industry both in Canada and the United States from system design and sales, to equipment manufacturing, distribution and dealer sales. 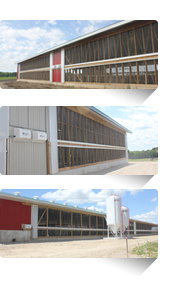 His broad knowledge in the dairy, hog and poultry industries includes both mechanical and natural ventilation equipment, controls and design. Dave’s long time interest in industrial ventilation along with the introduction of the Altra-Air fans gave him the opportunity to introduce and market this unique product to an entirely new customer base. 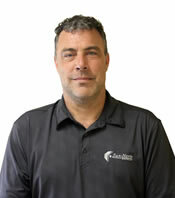 Dave has represented Sun-North Systems Ltd for several years in Ontario and western Canada. In the past six years, Dave has represented Envira-North Systems Ltd to his agricultural accounts in western Canada and to commercial and industrial accounts in eastern Canada. 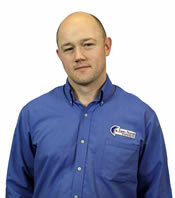 Derek joined Sun-North Systems as an installer in June of 1996. 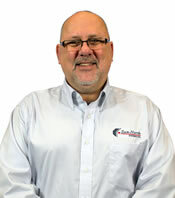 He built his knowledge of our products and systems installing projects all over North America for a decade. His ambitions lead to the creation of a new sales position within Sun-North, where he now specializes in Southern Ontario Dairy Ventilation. This experience is invaluable in assisting our partners, customers and contractors - providing the best solution for their ventilation needs. In 2014, Derek took on the additional responsibility of Employee Representative for Workplace Safety and Prevention here at Sun-North. Derek now resides in Seaforth with his wife Cate, daughter Kyla and son Denny. He enjoys volunteering in the community he grew up in. John grew up on a mixed farm in Huron County. He got into the ventilation business in the late 70’s and has continued to work in all aspects of ventilation including animal confinement for swine, dairy, poultry, etc. along with horticultural and industrial/commercial markets as well. 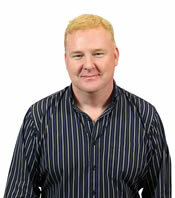 His course has taken him across Canada and abroad selling ventilation products and agricultural confinement equipment. Having been involved in all aspects of metal fabrication and the construction industry, John brings with him a history and background very familiar with the natural ventilation market at Sun-North and Envira-North. Having also worked in Product Development for many years has given John the ability to see both sides of products, problems and solutions. In 1977 John and Janet were married and they have two children, Jennifer and Brad. Brad is now married to Pam and they have their first daughter, Anica. John enjoys camping, golfing and the whole Grandpa and Grandma experience. John grew up on a farm just north of Mitchell, Ontario. There, he worked with his family on a custom farming operation and developed a passion for agriculture. It was that passion that lead John to take a position with FGC Limited, before starting his own service and installation company – focused heavily on ventilation equipment. 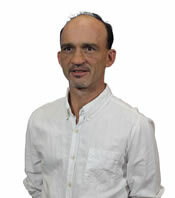 In 2008, John brought his knowledge and experience to the Sun-North team. 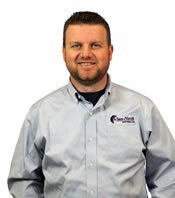 Working as a Service Technician and Installer he refined his ventilation knowledge and built a strong reputation within the agricultural community that now applies to his position in Sales. This hands-on experience has been beyond valuable in understanding the need for healthier animals. He now resides in Mitchell with this wife Katie and sons, Landon and Max. He is a volunteer firefighter and enjoys spending time with his family and friends. Pat began working at Sun-North in 1993. He started out manufacturing product in shop, installing and servicing in the field. 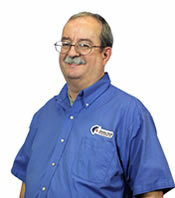 In 1996, Pat took over as shop manager and installation coordinator. He is still active with the service department, training new personnel and troubleshooting. Before coming to Sun-North, Pat worked in an automotive garage while studying motive power technologies. He now lives in Seaforth, Ontario with his family and enjoys travelling to sporting events and being out in the community. Stephan grew up on a farm south of Montréal, Québec and attended college in aeronautical and electronics engineering. He spent 25 years in the Canadian Armed Forces in the communications and electronics engineering branch, designing and maintaining electronics systems around the world. He retired in 1999 and joined Sun-North Systems Ltd in 2000 in the R&D department and is providing technical support for Sun-North Systems Ltd, Envira-North Systems Ltd and WindTrans Systems Ltd.
Steve came to work at Sun-North in 2003. He started as an order picker, and before long took over all shipping and receiving responsibilities for Sun-North. In 2008 Steve was asked to take on all the purchasing needs of Sun-North and was more than willing to accept. Before coming to work with us Steve had spent 7 years building homes and with his knowledge of construction and the trucking and freight industries, he has been able to ensure safe and efficient transport for our products all over the globe. Steve is also our health and safety representative and a current member of one of our local Volunteer Fire Departments. In his spare time he can be found with his wife and three children in one of the many local hockey arena’s as he enjoys coaching many levels of hockey.